Happy Monday friends! We had a great mix of relaxing, getting things done and seeing a lot of friends this weekend. We went to a new to us restaurant for lunch yesterday and I had to share because these burgers were incredible! 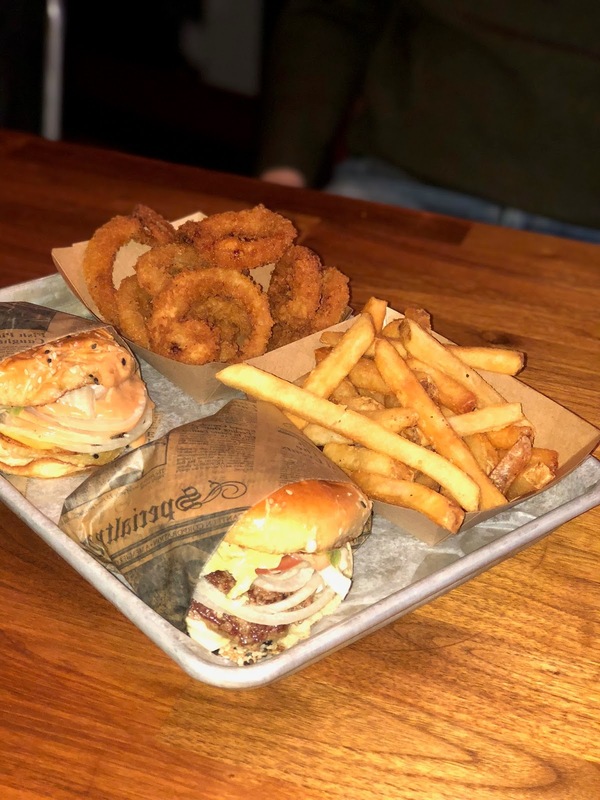 It's called the Best Burger Bar and it totally lives up to it's name! We both LOVED what we had - it was just delicious and not greasy at all! 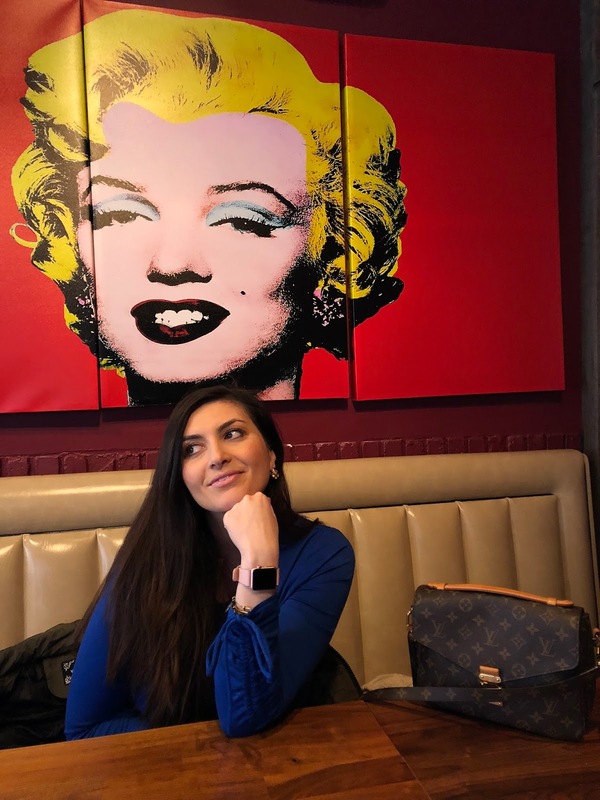 With this being the start of birthday week, I'm thinking about turning another year older and how I can keep pesky things like fine lines at bay! I've slowly been purging a lot of unused beauty products that have either expired or I just don't use. 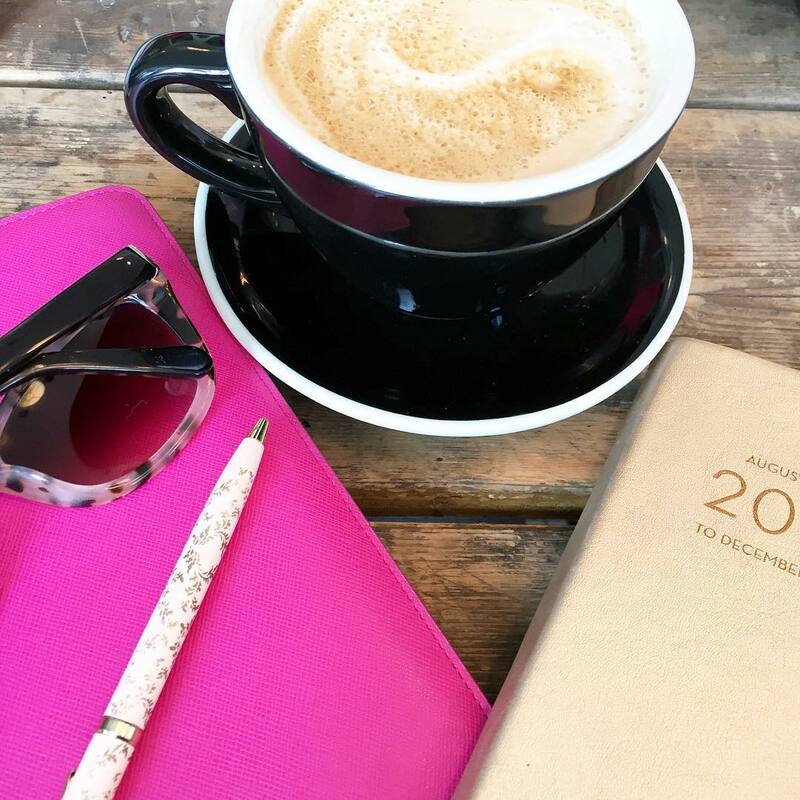 As much as I love keeping up with the latest products and trying out creams that have amazing claims, there are certain treatments I haven't tried yet, either it's still too new or I just haven't had the time to review the best place to try it! 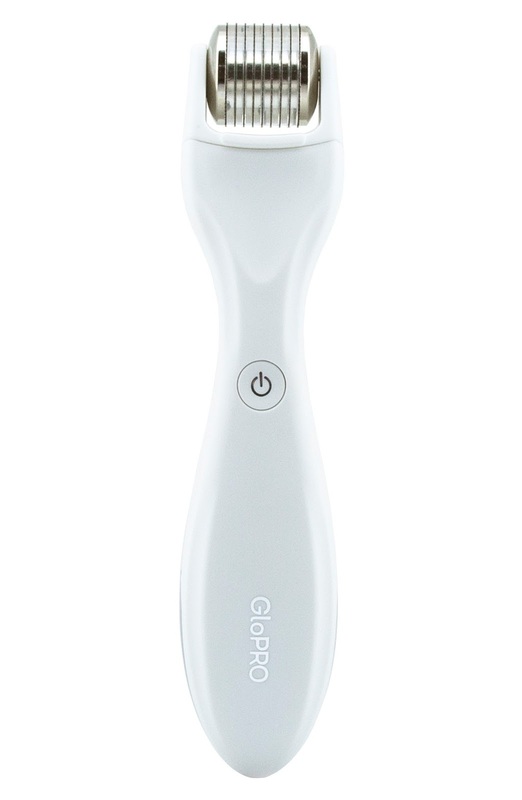 What was once a super pricey in office treatment at a medspa is now available at home and the GloPRO is the tool I've seen all over magazines, online & of course on instagram with really great results. The tiny microneedles allow the products (creams and serums) to absorb what you're lathering on! It also stimulates collagen production which helps keep your skin firm and looking young. Aside from the price of the GloPRO, the only thing holding me back is I'm nervous that not only will I not use it properly, but the little microneedles might hurt! I've read a ton of reviews and each one says that both of my concerns will be gone with the first use! 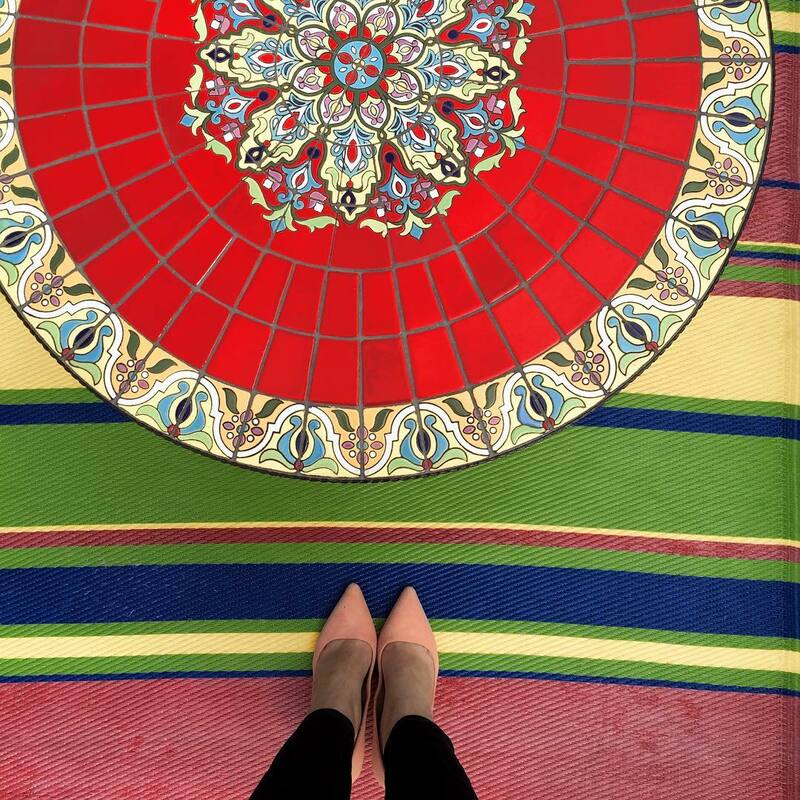 Of the three beauty "things" I want to try, jade rolling is not only the easiest, but also the most cost effective. 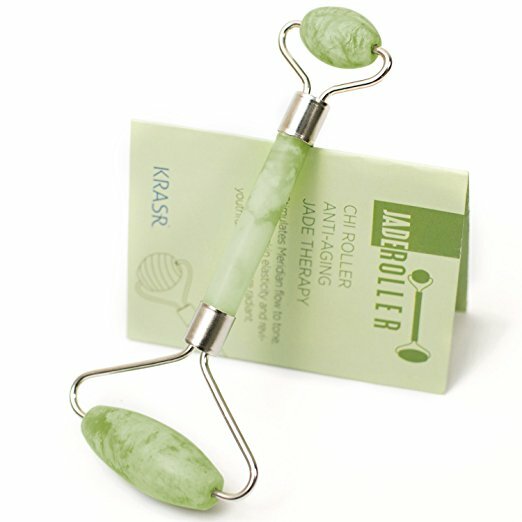 Jade rolling is said to help reduce puffiness, under eye circles and help reduce the appearance of fine lines. With the rolling motion you are increasing circulation and it's supposed to help your lymphatic system properly drain fluids away from your eyes (decreasing puffiness) into the proper channels. All things I can definitely get behind! I had a little taste of lash extensions at an event I went to a couple months ago. A lash expert added a couple individual lashes and I loved the look, but unfortunately because it was only temporary they only stayed on for one day. So many of my friends get lash extensions and rave about how fast they can do their makeup and what a time saver it is! I know the most important part of getting them is finding someone that knows what the are doing or else your natural lashes may be damaged. Have you tried any of these treatments? If so, which one should I try first? I have been wanting to try the microneedling and the jade rolller, too. I am also afraid that I will not use the microneedling properly! I feel like the jade roller is not only more cost effective, but also safer for now haha! Happy Monday, Biana! Yay for birthday weeks. Ive heard wonderful things about microneedling too! Let me know if you do try it! I would love to try the GloPro!!! And I have wanted lash extensions since I first started watching Mallory Ervin!!! I just don't know if I could do the upkeep and get them filled every 2-3 weeks....but I still want them! I DEFINITELY want to try jade rolling because it seems like the least invasive haha! And I have been experiencing super puffy under-eyes lately! If you end up getting lash extensions definitely can't wait to read about your experience. I'm also so worried about damaging my natural lashes! I've had lash extensions before! My natural lashes were not damaged but I hated the process of actually getting the extensions. It took forever and after about three weeks, you have to go back to get them filled! It's a time consuming and expensive thing to keep up with! I loved the look and it definitely shortened my getting ready time but I much prefer a monthly mani/pedi over lash extensions. I love my GlowPro, but I think it' kind of hurts. My skin is tender the next morning and sometimes stings. Not too bad, but it's noticable. I was super afraid of not doing it right, but once you get the hang of it, it's pretty easy. I tested it out on my leg first! Yum that food looks delish! I need to look more into jade rolling! I've never tried any of these; the jade rolling seems kind of cool though!! I hope you have a great birthday week. I really want to try microneedling! oh yes to these beauty treatments to try! i keep forgetting to get a jade roller, as i agree that looks like the easiest and cheapest of the bunch. micro needling def intimidates me but i think i wanna try it too! I definitely don't know much about those three treatments but I"m intrigued by all of them. I always wait awhile too when it comes to new skincare trends. The jade roller sounds like a good place to start! You should add in ice rolling, too! I think it's similar to the Jade roller, but with ice! I have been wanting to try it, but have not gotten around to ordering one yet. I've been on the fence about lash extensions for a while! A good friend of mine swears by them, BUT she mentioned that she has to get them now because they damaged her beautiful natural lashes...that worries me! I am dying to try the GloPro! The price deters me in case I don't like it, but I have never heard a bad thing about it. Lash extensions are such a nice treat for yourself, worth at least trying once! Ok I think youve convinced me I need that jade roller! Why not for the price! I’ve always wanted to try lash extensions, but can’t justify any reason to! Ha! I bet they are such a time saver, though. Definitely need to get myself a jade roller! I'd do the jade rolling. The microblading... nope. I just know something horrible would happen with me. Same with eye lash extensions. I've heard too many horror stories of people's eye lashes being so damaged they they haven nothing left of their own after. These all sound like fun! Keep us posted! I’ve had eyelash extensions before and loved them. I didn’t hardly wear mascara the entire time and it was amazing. I have a couple friends who get them regularly, but I only do when we’re going on like a beach vacation and I don’t want to worry about doing my makeup. My mom uses a jade roller and loves it! I can attest to not seeing Amy puffiness on her eyes; I’ve used it a handful of times when staying over her house. It’s so easy to use that you feel like you’re usinf it wrong, lol! It’s definitely something worth trying. I’d love to try that GloPro product, too. In the long run, I can imagine it would make such a difference to the way the skin looks, since it would help all the products be more effective. Thanks for sharing, beauty, and those burgers indeed look delish! I hope you have a great week ahead! Ok now I want to try them too! I'm really intrigued by lash extensions, I would be worried about my natural lashes getting damaged too, but if you find a good one, why not! I hadn’t even heard of all of these treatments! I have several friends that swear by the lash extensions, but I think that you’re right that you want to make sure to get somebody that knows what they’re doing! I would love to try the first gadget, but the price is holding me back, too! I need to get on the jade roller train as well! I would loooove lash extensions! One of these days I'm going to try them! I am totally intrigued by Jade rolling for the price. And the logic behind it makes total sense to me. I saw a review on the glorpro somewhere and it sounds awesome. I hate shelling out that much for something that I feel good be gimmicky? But I think if enough people say they love it and its worth it, I would spring for it. Nordstrom is always good about returns at least! You will have to let us know if you try and like them! I have been wanting to try GloPro but haven't pulled the trigger yet. My friends love it but the price. I don't want to spend that much on something I won't end up using. I use to get lashes done all the time. While I loved the look, the upkeep was draining. Going to get them filled every two weeks, was a pia. And I hated sitting there for an hour to get them down. Plus when I decided to stop getting them, I couldn't get over how bad my real lashes were. They were really in bad shape. I think I would only do it again for a special occasion. I don't live the life to justify having them all the time. Interesting.. I hadn't heard of the first two. I think I too would be afraid the needles would hurt..
Jade rolling sounds like the safest and easiest option meaning the one I would most likely try.. I am quite satisfied with my lashes so lash extensions have never really crossed my mind. I love my lash extensions. They last for about 3 weeks and then I get a fill. Jade rolling seems so cool to me-I would love to hear your experience if you try it! I loved my lash extensions- I got them twice, but the maintenance of them was tedious. It's definitely nice in the Summer- or would be great now with Bella ...it's a great option! Jade rolling has me super intrigued!!!! I would love to try all 3 of those things too. I'm starting to notice wrinkles in my forehead and its freaking me out! Lash extensions are soo pretty but soooo high maintenance. My friend gets them done and it was like $160 for the application but also $45 to fill them every 2-3 weeks. I got lash extensions and loved them while I had them, but due to the cost and upkeep I quite. They kind of ruined my lashed afterward. oh those burgers look SO good. yum. i have been curious about microneedling as well, but i'm worried about it hurting too. i love the look of lash extensions but i wish they lasted a bit longer for the price, you know? hard to maintain. plus i'm kind of terrified of going to someone and them like, blinding me. haha jk. I want to try lash extensions too.... except I already know I would be terrible at the maintenance... so there's that. LOL I've never heard of jade rolling, but that sounds like something my face needs this morning! I've always been interested about microneedling. A bit scary though, but I've read a lot of good things about it. And I say 100% yes to lash extension! ha! I've missed the linkup for a couple weeks but hope to be back next Monday. Those burgers look yummy. Thanks for sharing. yesss! I want to try these too!